Thank you so much for your letter. We learned a lot more about you. Some of us learned about taking pictures from our parents. We also learned how to take pictures using our iPads at school. Some of us have cameras we got as presents on our birthdays or at Christmas. Do you have birthday parties ? We do. When it’s our birthday we get together with friends and family and eat lots of food, play games, and we get a birthday cake. We put candles on our cakes and light the candles. When it’s your birthday you get to make a wish and blow out the candles. Do you do that? We also eat ice cream. On your birthday you also get presents like toys, games, and clothes. Some times it is really hard to go outside in winter. We have to wear a lot of extra clothes. Sometimes we have to wear so many clothes to completely cover your skin or else it could freeze. But winter can be really fun. We play in the snow and make snow forts, snowmen, and snow angels. Look at us! We would love to see pictures of where you live and what your buildings look like. What do your houses look like? 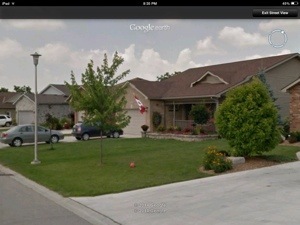 This is a picture of what houses look like where we live. Out toilets are inside our houses. We flush our toilets. 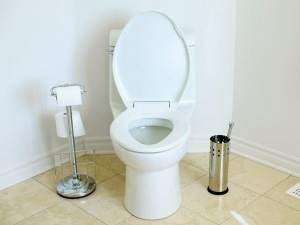 This is what our toilets look like. Please tell us what your school day is like. What kinds of things do you do? Do you have recess where you get to go outside and play? What are you learning right now? We are meeting kids in other countries like you. It is so cool.